Hearthstone: Heroes of Warcraft has begun its open beta last week and hopefully Blizzard fans can rejoice and stop clogging the interweb’s gutters with their clamouring for beta keys. 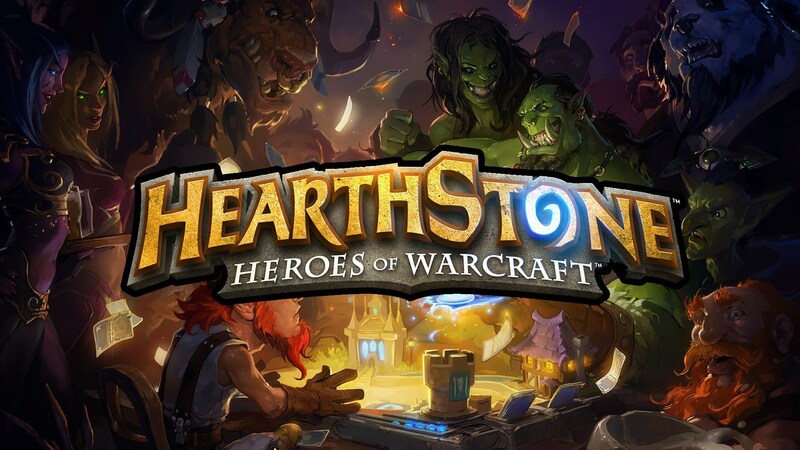 Hearthstone is the latest development from Blizzard Entertainment, the creators of the Starcraft, Warcraft and Diablo franchises, and is a digital collectible card game featuring all the characters and monsters from the Warcraft franchise. You play a hero from Warcraft lore who is intent on winning a card game at a pub. Hearthstone has been likened to Magic: The Gathering, Pokemon cards and Yugioh in some game mechanics but simpler in others. You play one of 9 classes, each with their own special ability, and are based off of their counterparts in World of Warcraft. The mage flings fireblasts at you, the warrior armours up and the hunter fires arrows at your knee until you have to rage quit your adventuring days. Your hero plays cards against your opponent’s in order to bring their hit points from thirty to zero. It is a game that is easy to learn, but hard to master. Depending on your deck you can play defensive, play around attacks of your ‘minions’ and each hero has efficient, class specific cards. There are currently three game modes: Play, Practice and Arena. In Practice you are allowed to hone your skills against AI but in Play and Arena you play versus other people. Arena is fun for the gambler, as you can spend the gold you earn through making a deck out of a random assortment of cards and play against an opponent who has done the same. Hearthstone: Heroes of Warcraft is a game that oozes presentation. Blizzard have produced an incredibly polished looking game and it’s the little details that make it stand out. It’s the shadow on the gaming board as you hover a card over it, the destructible board itself and the animated foil cards all add to the feeling that Blizzard shelled out a lot of money for this game. The sound might actually be the most impressive part. You battle against your opponent to an incredibly catchy yet unobtrusive soundtrack. Again it’s the little details which make the game fun to play and hearing a distinct battle cry every time you send a different minion to their death never gets old. The game is currently free to play and Blizzard’s intentions are to keep it that way. Hearthstone does still take credit card though. It is possible to buy booster packs of cards in order to gain access to more powerful cards faster but those same cards are available to players who don’t pay a cent. To some players this is a “pay-to-win” system however the choice really comes down to whether you want to grind away hours on the game to get your collection or to grind hours work. An interesting mechanic is the ability to disenchant duplicate cards in order to create those “legendary” cards for your decks. This is presumably in place in lieu of a trading system between players. Hearthstone: Heroes of Warcraft is a riot of fun and it really does become addictive after a while. Blizzard’s plans to launch to iPhone, iPad and Android platforms will be occurring at the same time as the PC and Mac releases.